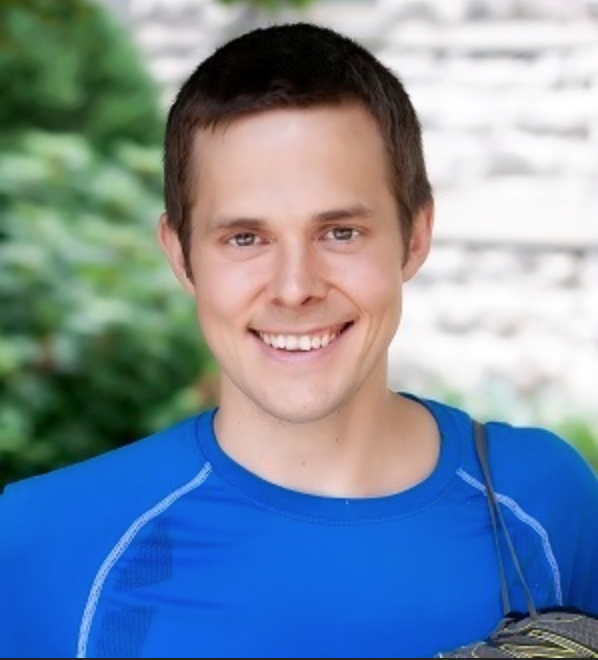 Many of you might already be familiar with Matthew Frazier and his blog, No Meat Athlete. Our blogs got started around the same time. From day one, I was drawn to Matt’s down-to-earth, accessible voice, his passion for healthy living, and his ability to push his own boundaries while all the while maintaining a realistic perspective on athleticism and diet. I’m a true outsider to the world of endurance athletics (all athletics, really), but I’ve always loved Matt’s work, because he makes running and training seem within everybody’s reach. 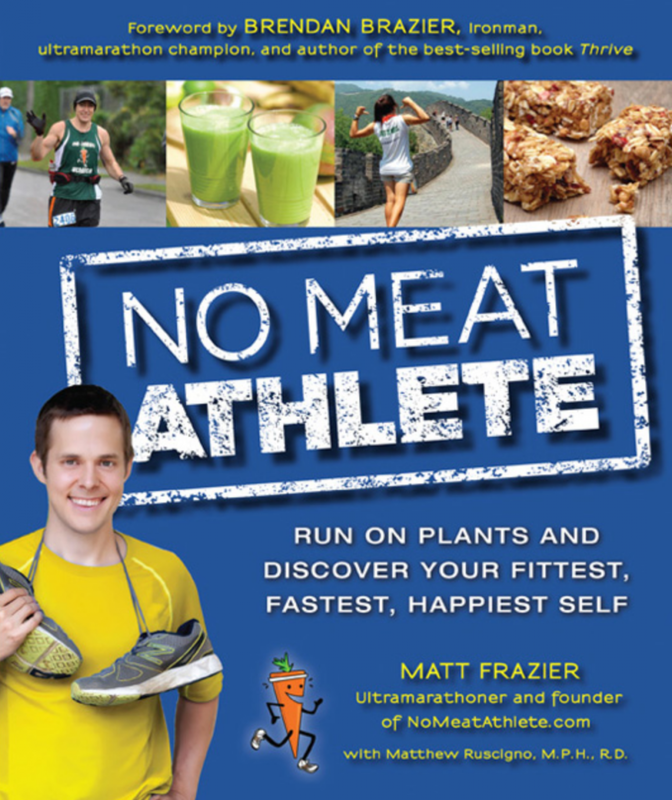 Finally, Matt’s advice for aspiring runners, along with a collection of his nutrient dense recipes, have come together in his new book, No Meat Athlete. 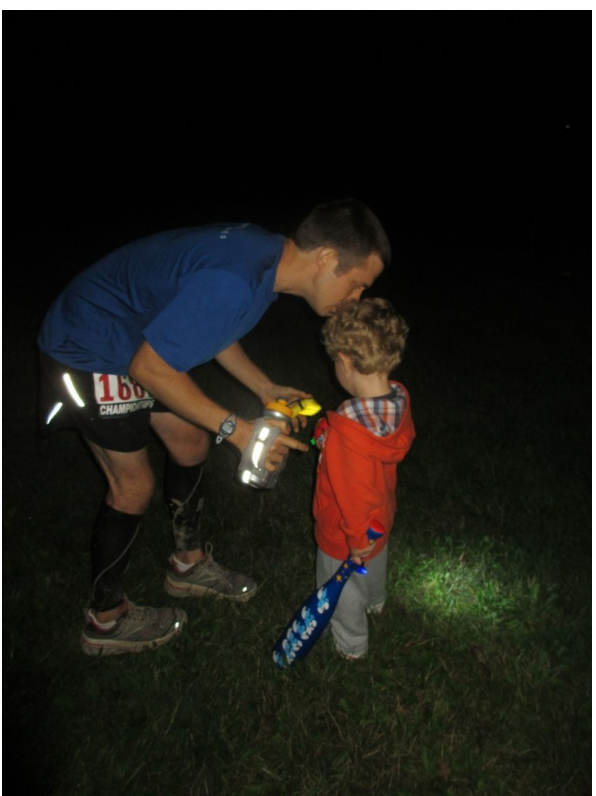 Not long ago, Matt completed his first 100 mile ultramarathon. His recap walks readers through all of the ups and downs, as well as the logistics (what he ate, what shoes he wore, and so on). As I read the post, I was so proud of what Matt had accomplished, and impressed with his characteristic humility. He frankly describes the moments of pain, doubt, and uncertainty along with the ultimate sensation of accomplishment and triumph. It’s appropriate that I read the post just before I received his new book, because it made me wonder how Matt had built up to such an immense and grueling distance. 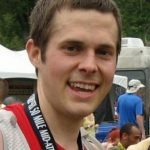 No Meat Athlete describes much of this process: how Matt went from being a casual runner to qualifying for Boston and ultimately training for his ultra. It’s full of tips on how to fall in love with running, build up distance gradually and safely, avoid common roadblocks, and–perhaps most appropriately–fuel yourself with plant-based food. The book features an foreword by Brendan Brazier, and it also features a little raw food section by yours truly! So, sure, I’m a little biased. But having now read the book in its entirety, I can say that it’s everything I knew it would be, and more. 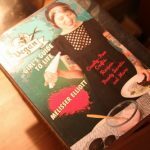 The book is divided into two sections: the first is focused on plant-based nutrition for athletes, and the second is devoted to running and fitness. I’m a better audience for the nutrition section, but I took a lot away from the fitness section, too. Matt places a lot of emphasis on forming steady habits and setting achievable goals, and he’s a huge believer that fitness should be fun. While I may not take up distance running anytime soon, I think that Matt’s advice translates easily into any form of movement. So, I’ve already taken some of his tips (set specific goals, alternate harder workouts with lighter ones) to heart when it comes to my yoga practice. Meanwhile, I was amazed at how user friendly Matt’s recipe section is. I’ve always said that I’m better at creating “templates” than I am recipes. Matt thinks in culinary templates too. He actually suggests that folks get started with plant based food through seven basic dishes, including a smoothie, a salad, a pasta, and a green/grain/bean combo. My favorite feature of the book may be his section on how to build your own smoothie, burger, and homemade snack bar. I love his user-friendly, DIY approach, and I already have a lot of new smoothie ideas, thanks to him! As always, I like to let authors describe their work in their own words. 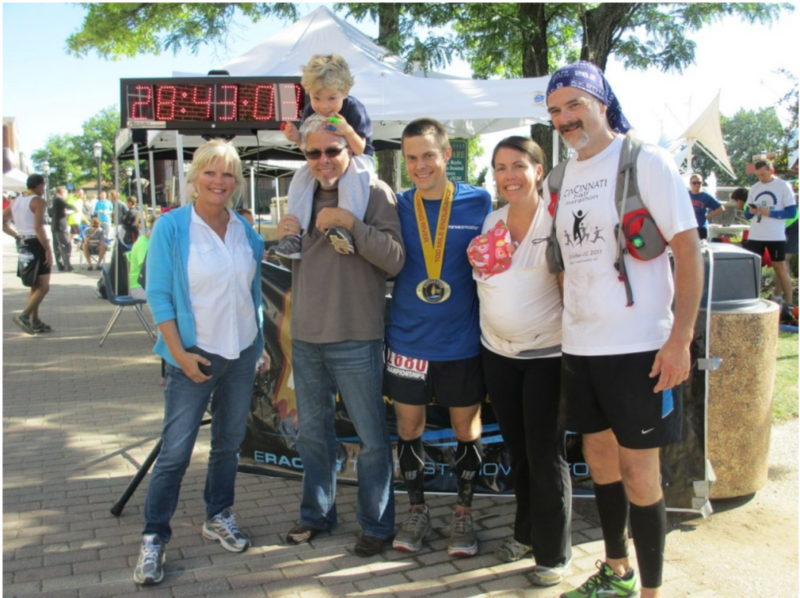 So here’s a little Q&A with Matt Frazier: ultramarathoner, blogger, father, and friend. 1. What was your main goal with this book? What are you hoping to tell people? More than anything else, I want this book to open some eyes. You and I and most people reading this know about Rich Roll, Brendan Brazier, Scott Jurek, Hillary Biscay, and other pro and elite vegan athletes. But it’s easy to forget that many people still believe meat equals protein (and that meat is our only source of protein), so that you can’t be both a vegan and an athlete. I want this book to change that — even if just by catching someone’s attention with the title when they see it on a shelf. 2. You ran your first 100 mile ultramarathon recently (which in my world means that you are officially superhuman). Can you tell us a bit about how this came to be? Is this a longtime goal of yours, or did it just happen? The 100 was something that I completely failed at the first time I attempted it. It wasn’t that I started and couldn’t finish the race … it was that I signed up for one and never started training! I think the enormity of the task was overwhelming for me, and I literally didn’t put in a single training run, moving on after a few weeks to something less daunting. Last year, though, I became inspired to try it again, and I had matured somewhat. I look a longer view of the training period and spent six months just building up a really strong mileage base before starting the official training. Then it was a six-month training program after that — really not crazy mileage, just a whole lot of seven-mile runs during the week, and long runs ranging from 16 to 30 miles on weekends. And a 50-mile race a few months before the 100. But I never ran more than 60 miles in a single week, except for the week of the 100, of course. It was such an incredible experience. The training, the race itself, the dependence on my crew (my wife and parents) to give me food and ask the right questions … all of it was so powerful, with so many small steps and logistical things having to happen in order for me to finish. And as hard as it was, I truly believe that just about anyone who really wants to could eventually run an ultramarathon. It’s a much different mindset from running a road marathon or half — it’s much slower; you walk all the uphills and take other walk breaks, and stop for 10 or 20 minutes to change shoes and eat. It’s more about learning to persist than it is about physical fitness. 3. You always manage to make athleticism–and serious, endurance athleticism at that–seem accessible to the average fitness enthusiast. What are your tips for someone who’s getting started with running or another kind of endurance sport? The first tip I always tell people is to slow down. A lot of times someone will tell me they can only run one mile, and after that they’re exhausted. But what would happen if you just slowed down your pace by a minute or two? It feels strange at first, but you learn (a) that you can run a lot further this way and (b) that it actually feels good. When you slow down, you avoid going into fight-or-flight mode and everything from your breathing to your brain relaxes. The other really important part is to find a goal that motivates you. “Lose 10 pounds” doesn’t cut it. You’ll know you’ve got a good one when it’s so big that you’re almost embarrassed to tell people about it for fear that they’ll tell you to get your head out of the clouds. When you set a goal like that — and importantly, convince yourself that you can do it, even without a lot of references to back that belief up — finding the motivation to train stops being an issue. Even though I encourage people to set big goals, I also think it’s crucial to give yourself a lot of time to accomplish them. If you rush it, you’re setting yourself up for injury, burnout, and disappointment. So aim insanely high, but don’t rush getting there. 4. So, how did you fuel yourself for this epic race? What are some of your go to meals or foods for performance and recovery? One of the best foods I discovered in the process of training for the 100 is dates — fresh, whole dates with the pits still in them. They’re packed with sugar in a form (glucose) that very quickly gets into your bloodstream, and they taste amazing. They’re nature’s version of energy gels — lots of sugar in a small space, so you can carry a few with you while you run — and so much better-tasting and healthier than the manufactured gels. I’m also a huge fan of a daily smoothie. Something I learned from you is that you don’t have to be a raw foodist to enjoy raw foods; there are huge benefits to incorporating them into your other cooked-food diet. And that’s what the morning smoothie has become for me: an opportunity to start the day with as many raw seeds, nuts, greens, and fruit as I can. I still eat a lot of “normal” meals, but more and more my meals are getting away from the traditional, “square” meal. If I can fill up on some combination, cooked or raw, of fruits and berries, vegetables, nuts and seeds, and beans (usually hummus), to me that’s a meal. 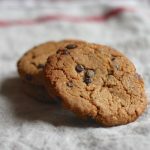 So it may be a salad wrap with hummus, a handful of walnuts and some fruit, or a sprouted grain English muffin with almond butter — I ate a ton of these “snacky” meals throughout the day during the training. A lot of people have been interested to see the list of foods I ate during the race itself, in my recap post (blogger’s aside: do this! I was really fascinated by the foods Matt used to fuel his race). 5. Let’s talk about that elephant in the room: protein! What are your thoughts on protein needs for athletes? What are your favorite sources? I truly believe that protein is not the big deal we make it out to be, and that most athletes get far more than is necessary. Just about any professional elite vegan endurance athlete I’ve talked to tells me they get 10 to 15 percent of their calories from protein — so if you’re eating 2000 calories a day, that’s 200-300 calories from protein, or 50-75 grams. So how to do you get that amount (or more, if you eat more calories than 2000)? It’s surprisingly easy, on the condition that you eat whole foods instead of processed. Even whole grains, which I had always considered a carbohydrate source, often have 15 percent of their calories coming from protein! 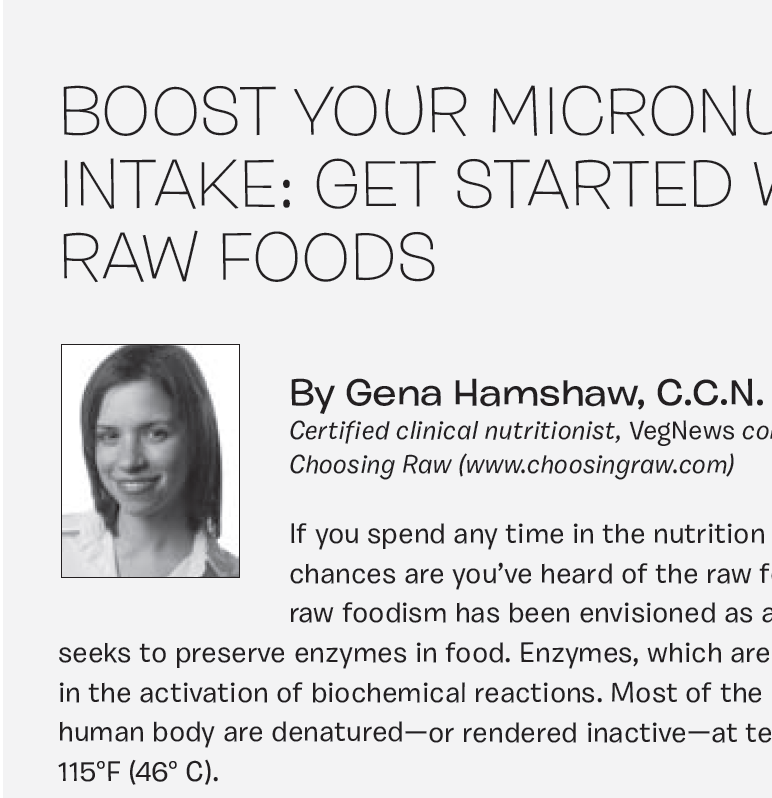 If you’re careful to avoid processed foods and just make an effort to include some amount of protein in all your meals or snacks — say, adding nuts, seeds, or ground hemp powder to your smoothie, eating beans with your salad and in your pasta dishes, or spreading almond butter on your English muffin — then it’s not hard at all to get an adequate amount of protein. I honestly don’t think about protein day-to-day anymore. 6. If there’s one thing you wish everyone could know about plant based diets, what would it be? I wish people understood how easy it is to eat this way once you learn to think outside of the protein-carbs-fat framework. For example, I’m writing this as I ride in a car on the way up to Boston for a book tour event, with two months on the road ahead of me. I’ve been asked several times how I plan to eat on the road, especially breakfast when I can’t make a smoothie without a blender. But I’ve found it very easy when I travel to just keep a bunch of fruit and some raw trail mix in the car, then get a huge salad from Whole Foods for breakfast (really, breakfast) each morning. This is so different from the mentality of constructing a meal out of a protein/fat food and a carbohydrate food, but I feel so much better when I eat this way. This probably doesn’t surprise you though — it took writing this down for me to realize that I’m eating raw for the first half of every day! To give you a sense of the delicious and nourishing food in Matt’s book, I thought I’d share his recipe for chocolate quinoa protein bars–my favorite snack bar in No Meat Athlete, and just a small example of the kind of creativity Matt brings to simple, everyday recipes. Chocolate Quinoa Protein Bars from No Meat Athlete. 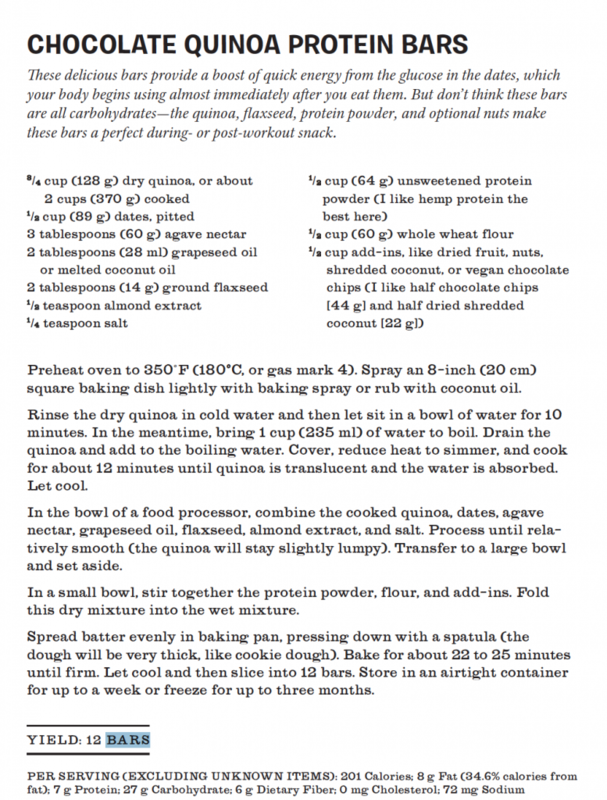 Recipe printed with permission from Fair Winds Press, a member of Quayside Publishing Group, (c) 2013. I hope that you’ll all check out No Meat Athlete. Perhaps my favorite thing about Matt’s work is that it always inspires me to believe that I can accomplish the things I’ve set out to do–and this goes well beyond the realm of fitness. At many moments during my post-bacc, and now during the application process, I look to Matt as a constant reminder that hard work and determination can help anyone to cross the finish line of her dreams. He should get immersion blender for the road. They’re cheap, lightweight, compact and can make smoothies in whatever cup you have available! Thanks for reviewing this book Gena! I’m a vegan athlete myself and I love the fact that you are covering this topic. 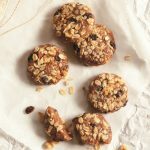 I’ve always enjoyed Matt’s site (by the way, those protein bars are bomb) and it’s nice to get to know the man behind the recipes. Hey Emma — I used to feel like that too, but hemp protein powder is really just ground up hemp seeds, similar to flax meal, with nothing else added. The name makes it sound more complicated than it is, which is why I never used to buy it. But I really like it now, and find it easy to add in to baked goods, bars, smoothies, etc. (I buy the Navitas Natural brand). Anyway, just my two cents. I have considered hemp seeds before, but wasn’t aware the powder was just ground up seeds, so that’s great to know! Hemp is difficult to find here in New Zealand, it’s not legally allowed to be sold as food for humans, but you can buy “food grade animal feed” which is interesting terminology people use to get around this. I will have to keep my eyes out for that! Thanks again. 100 miles????? This is the first time I heard of the existence of such thing! And this man finished it!!! Yep, definitely gonna check out his website and book. What a great guy! I like him too. He just seems very level headed & approachable. I liked when he says, “I wish people understood how easy it is to eat this way once you learn to think outside of the protein-carbs-fat framework.” So true. Thanks for introducing us to him Gena. Such an inspiration! Love the idea of setting a HUGE goal. We talk about this a lot in life coaching. It is really a very effective tool for creating a dream life 🙂 <3 It is also so lovely to read how much a support system is needed for big goals, reminds me that I do not have to do everything on my own, and that great things are accomplished together! 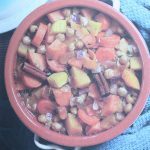 Thank you for the review and sharing a great recipe Gena. I am a long-time fan of Matt’s and have definitely been eagerly awaiting the release of his book. I wish that he was somewhere close to me on the book tour, but alas, he’s not. It would have been awesome to come see both him and you this weekend! This book sounds great! As a runner, I always loving hearing about vegan athletes.